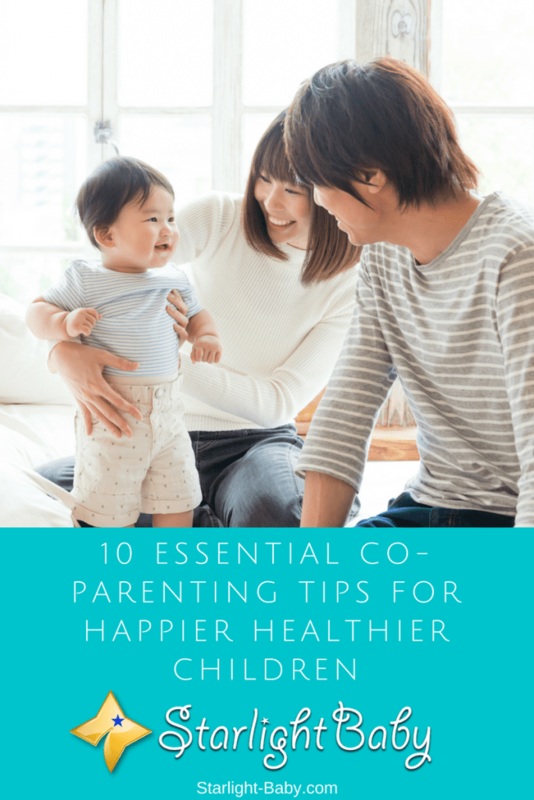 Whether you’re trying to come up with a co-parenting plan to strengthen your relationship, or to simply make things better for your child if you and your partner are no longer together, here you’ll discover 10 tips that can really help – especially if you’re going through a rough patch right now. The key to making any relationship work (even forced ones with ex partners! ), is communication. You’ve might already have some types of communication down, such as yelling, snapping and the silent treatment, but we’re talking about healthy forms of communication here. There’s going to be times you’re going to need to really take control of your emotions and keep your cool. Good communication includes listening to one another and talking through any issues you may have. Many of us are guilty of not really listening to the other person. We simply wait for our opportunity to give our own opinions, not really taking into account what is being said. Sitting down with the intent to really listen to the other parent will lead to a more successful outcome. Being able to talk through your issues without blame or anger getting in the way is crucial. It also gives you the opportunity to really learn and understand more about each other’s ideas and parenting methods. One of the hardest things both couples and ex partners find it difficult to do when it comes to parenting, is be respectful of each other’s decisions and ideas. For moms, after giving birth there’s something that seems to just happen in their brains without them even realizing it. Their natural protective instincts kick in, which means they’ll often have a very set idea of how their precious infant should be cared for. This can lead to a lot of problems in a relationship and lead to a lot more arguments with an ex-partner. It’s important to be respectful and realize that the other parent has just as much right to an opinion as you do. There is no real right or wrong way to parent and everyone does it differently. Just because they have come up with a slightly different method, it doesn’t automatically mean that they are wrong. So, if you find yourself constantly critiquing what your partner, (or ex-partner) is doing, try to stop and see things from their point of view. This tip is largely for those dealing with separation co-parenting. There’s going to be times your ex-partner is late to pick up the kids. There’s also going to be times you’re late getting them ready. Unless the other parent is consistently very late or unreliable, it really helps to stay flexible. Have alternative arrangements in place just in case there is a problem with pick-up. Or, if they ask you to switch dates, don’t be too quick to say no. If you try to be as flexible as possible, it will help you out when things crop up that you can’t control. Maybe one day you’ll need your ex-partner to pick the kids up early or have them stay over an extra day? If you’ve been pretty strict with the rules, they’ll be less likely to help you out when the time comes. Of course, there’s also the fact that getting upset and angry over schedule alterations is going to cause a lot of tension. This in turn will be picked up by baby! If you are still in a relationship, it’s really important that you learn to trust your partner. As a mother, it’s easy to become blind sighted by your protective instincts. You worry when you’re not around and your partner is left in charge of the baby. It’s natural to think nobody else can take care of your little one as well as you can. So, each time your partner is left holding the baby, you ensure you leave them a long list of tasks and rules to follow. Sounds logical, right? Well, while some notes may be very useful, leaving an actual list of rules can not only be overwhelming for your partner, but it can also be hurtful. You’re basically saying you don’t trust them to look after their own child. This in turn can lead to a lot of friction within your relationship. They’ll start to feel like they aren’t needed, or worse, that they’re useless. While you obviously try your best to do a fantastic job at raising your baby, you need to realize that your partner is just as capable as you, it’s just sometimes they aren’t given the opportunity to prove that. For co-parenting to really work, you need to ensure you’re both kept in the loop of what’s going on. This could include using a “baby calendar” where you mark down your little one’s appointments. You could also make a point of sitting down to talk about what is going on with baby right now. How are they sleeping? How often are they feeding? Making sure you both understand your little one’s routine and anything that’s going on with baby right now will ensure your co-parenting schedule is effective. At times, there’s going to be things that worry you about the way your partner or ex-partner is co-parenting your baby. As tempting as it is to start throwing accusations around and jumping on the defensive, it’s important to remember tip number one – communicate. Before you accuse the other parent of anything, discuss what’s troubling you. The problem could be baby hasn’t slept well the past few times they’ve been looked after by the other person. Instinctively you guess this is because they weren’t put down for a nap at the right time, or the other parent made some kind of change to their routine without discussing it with you. However, instead of accusing them of doing something wrong, instead it would be more helpful to discuss the issues baby is having and ask whether they have done anything different in a calm and relaxed manner. By discussing, rather than accusing, it leaves room for healthy communication, nobody is going to get defensive and it takes you closer to resolving the problem, rather than adding tension to it. As well as respecting your ex or current partner, it’s also important to respect the time they spend with baby. If you’re not around it’s going to be tempting to call often and check up on how they’re doing. Think about how you would feel if the situation was reversed. Do you expect to be able to spend quality time with baby without interference? Of course you do! And so too, does the other parent. It could be a great idea to create an actual parenting plan. This is especially true if you and your ex-partner tend to disagree a lot or your parenting styles clash with one another. Setting out an actual plan which caters to both yours and their needs, beliefs and parenting style will help to make the co-parenting run a lot smoother. In some cases, having a mediator there to help create the plan is a great idea. You should include things like which parent gets to look after baby on certain days, is it ok to upload pictures onto social media? How long do you both want to wait before your child is introduced to new partners? Even if you’re still with your baby’s father or mother, a co-parenting plan can work wonders if you find yourself constantly arguing over your parenting styles. Some things are much easier to just let go of. There’s going to be hundreds of things the other person does that infuriate you or you simply don’t agree with. The trouble is, if you’re always sweating over the small stuff, you’re going to be permanently stressed out which isn’t good for baby at all. Knowing when to pick your battles is a vital skill that will save you a lot of future headaches! When you’re not with baby, it’s common to feel anxious, worried and to expect the worse. However, it can actually be a fantastic time for you to just relax. Being a parent, especially a single parent, is exhausting. You barely get any time to yourself so why not take full advantage of the time your partner or ex-partner is taking over? Run a bath, read a book, listen to relaxing music or just enjoy the luxury of being able to grab an early night. Taking time out for you is ultimately going to be beneficial for baby too. Overall, co-parenting isn’t easy; regardless of whether you’re still with the baby’s mother or father. However, the above tips can really help and ensure you’re both doing what’s best for baby. Do you have any co-parenting advice? Share it below! I am still happily married and I hope so for many years to come but just knowing these tips is amazing. I wish that certain parents would read this because, through the years, I have seen so much bad co-parenting after a breakup. Sadly, it is always the child that gets the worse end when the parents split up. Even though that it isn’t the children’s fault. I know a couple that got divorced and had a girl that was 3 years old at the time. They basically used her as a tool to manipulate each other. It was really sad to watch. I am the mother’s friend and I tried to sort of give her ”friendly advice” but she never took notice of it. Communication is always the key! In any relationship and in any parenting. Me and my partner are an amazing team because we have established things like, trust, always talking to each other, and sticking together before the baby was even born. These are great suggestions. I would lke to add something here. I have noticed parents asking questions to the child as to who they like more and feel happy if the answer is pointed towards the questioner. This is wrong. The child should like both equally and efforts need be made in this direction. Also taking decisions vis-a-vis a child should never be one-sided. That is so true, iamawriter. A child should never be asked to choose who is the better parent, or who does he/she love the most. That is not good parenting. It would greatly affect a child’s psychological and emotional well-being. Sadly, that happens most of the time, Mary Jane. This is a great post. Many times the kid complains about the other parent. As you mentioned, communication is the key. It is important to have discussions among both parents about what and how the child is thinking. You’re right, Settle in El Paso. The parents, separated or not, should communicate about the best means to raise their child, and not destroy each other in his/her eyes. I’m sure when the child grows up, he/she would love and respect both of them. Co-parenting is not easy especially when raising a child or children when separation occurs. This is often not easy to achieve for couples who were once married but for some reasons are now experiencing marital issues. Co-parenting comes with its own undeniable requirements ranging from communication, trust, empathy coupled with the financial responsibility that is essential. Children sometimes are at risk of having developmental problems while growing when co-parenting is not done in a healthy way. Another negative aspect of this is that, children are very smart. They tend to pick up some of our behaviors, and when two partners are unable to handle some issues maturely, it may signal to them as a good behavior. Seeing what children from a broken home go through, one would have to think, pause for a second and ask, do i and my partner have the virtuous, trust, understanding etc to REALLY establish/build a happy home? During relationships, it is necessary to know if your relationship has prospects for a positive future ahead. I believe that the 10 points highlighted above would go a longer if followed properly to achieve a significant success in Co-parenting. Children deserve to have a stable, peaceful and happy homes! Children should not have to suffer for marriage or relationships breakdown, but unfortunately, sometimes they do. An inattentive parent will often not show up for scheduled visits or other planned functions like a school activity. It is possible for two adults to co-parent a child even while apart. It might require time, effort and sometimes it will seem like ongoing work but it’s worth it all to see your child grow up emotionally healthy. It does not matter on which side of the family the child stays. The most important aspect of co-parenting is the willingness to share, understand and to be considerate of the other person’s strength or limitations. Well said, joegirl. A divorce subjects a child to a very difficult situation – psychologically, emotionally and physically (gets separated from one of the parents). If they truly love their child, the parents should do their best to nurture his/her emotional and psychological well-being, and forget their personal issues for his/her sake. I have always stood by my wife side during the 9 months of pregnancy and four months of parenting. We are working parents, however, we have balanced our working time with parenting time. When my wife goes to work, I will be in the home looking after the baby and when she comes back from work, I will go to work. I will be in the kitchen when my wife is feeding the baby, and she does the laundry when I am with the baby. Children need both father and mother, therefore, I believe in co parenting. Thanks for these awesome tips. It is quite important that couples have this in mind for a healthy upbringing of their kids. It is not always fine to see babies that are being for the mothers to nurse at that early. The reason that is not right is that it always makes the babies too connected to one parent while the other is not aware of the happening at the family. So, I applaud you for stating the ways every parent can contribute to raising the kids. It is not the work of the mothers alone. Everyday is learning and growing process. Upon learning, we share and grow as individual. Parents are the molder of their children, they should be effective as partners first so they can work together as parents. Individual differences , culture and society you belong are some of the factors that could affect between parents in upbringing their children but these differences can be discussed for the benefit of their kids. Communication should be open no matter what topic it is. Respect and trust are the foundation of relationship. Creating a parental plan is something parents can sit and discuss which one they think is effective and suitable for them and their child. Parents knows best! Co-parenting can be tough. Especially if the other parent is going through life difficulties and unable to see the child as often or even communicate at all in some cases. The tips above such as communication, understanding and just showing compassion and trying to put yourself in the other parent’s shoes can be extremely helpful when things get tough at times. Not talking badly about the other parent is also very important. I think that plays into the respect part. No matter what is going on personally between the two parents, it should never come between the parent and child relationship. When both parents are willing, loving individuals who WANT to play a part in their children’s lives, every effort needs to be made to maintain a healthy relationship between the two. My wife and I both are working. My wife teaches in a college and I work from home. When my wife is away, I look after the baby and when I am working, my wife looks after the baby. We both try to give as much time as we could. This not only eases our work but also helps the baby’s physical and mental development.